After the success of the Two Turtle Doves race in 2017 we will be running the event again. Like all races from the pavilion it starts with the customary lapof the cricket pitch, out onto the tarmac for a quick kilometre to the end of Strawberry Lee Lane. On entering Blacka Moor woods the wide track soon steepens for the first punchy climb. Thankfully it’s shortlived and a steep descent down to the stepping stones follows. Do you wade through or skip over, you might not have a choice if it’s been wet! The long climb of the Devil’s Elbow comes next, it’s never too steep but shouldn’t be under estimated, the ground is uneven the tree roots will do their best halt your progress. The path eases as you reach the top car park of Blacka Moor. A sharp left down the uneven bridleway leads you into the grazed sheep fields, a very quick downhill drops you at the bottom of the last climb. It’s a lot shorter than Devil’s but if the wind it blowing it can be just as head. Over the stone style and on to the home straight, all that’s left is the steep descent and tricky styles of the Horses’ Field. Just to finish you off the steep tarmac of Moss Lane will sap your quads before the last ditch sprint around the cricket pitch. Due to the time of year you will be asked to carry full FRA Best Practice kit (Waterproof whole body cover (taped seams and attached hood) + hat + gloves + map + compass + whistle + emergency food). Should the weather be very kind the RO reserves the right to reduce the minimum kit required. Ensure you bring EVERYTHING just in case. 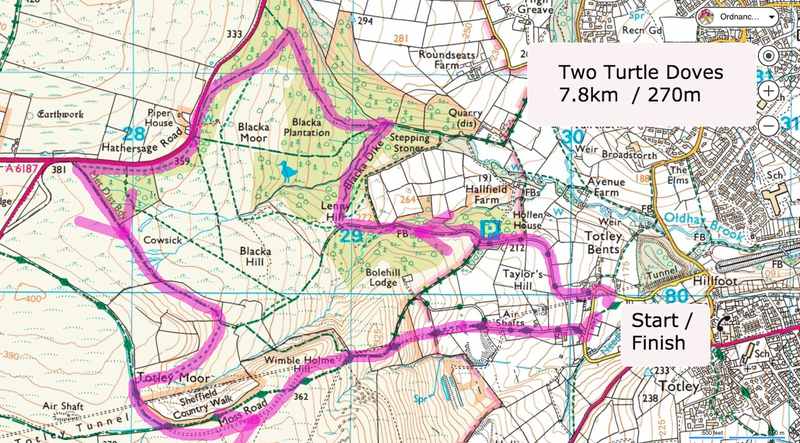 TTTD is 7.8km with 270 metres of ascent making it a BS category race. Due to access on Blacka Moor and Totley Moor the route is entirely on PRoW is well marked. Flags must be followed at all times. You can pre-enter (£5) by post or by dropping your entry form into Front Runner Running Store (296 Sharrowvale Road, Sheffield S11 8ZL). Please print off the entry form and complete it in full and send with cash or cheque to; Steve Franklin, 330 Baslow Road, Sheffield, S17 3BG. 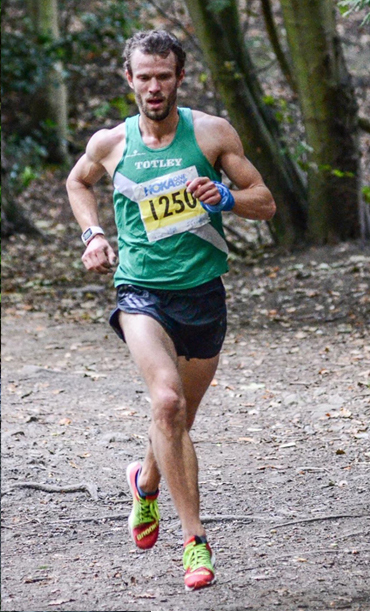 Make cheques payable to Totley Athletics Club. The entry list will be available to view on Webscorer at the end of November. Alternatively, you can enter on the day (£6) from 09:40am. Entries close at 10:40am. 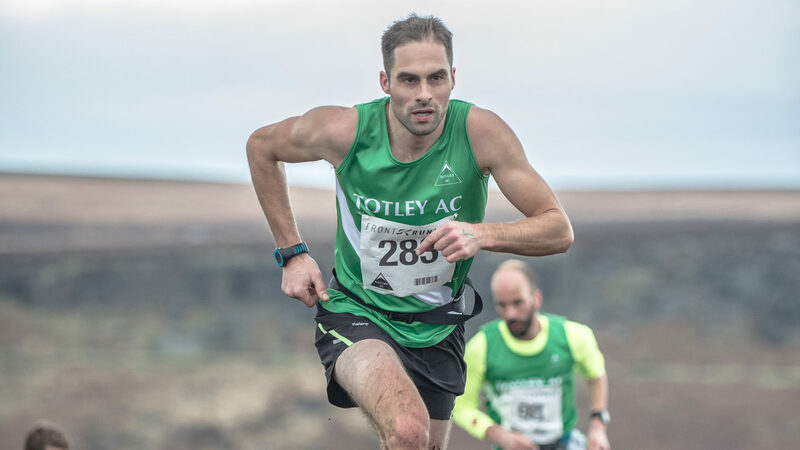 TTTD is open to 16+ year olds (age as on day of 26/12/18) a parent or guardian must complete the “Parental Consent Form for Junior Fell Runners”, this can be found on the FRA website and will also be available at the pavilion. You must neither start the race using a number obtained in someone else’s name nor give your number to someone else to use in the race. Entrants may not take dogs on the course Competitors are responsible for their own safety when running on the roads at the start and finish of the race. Limited parking is available at the Totley Rifle Range and on Moss Lane – DO NOT PARK in the Cricket Inn car park, on Penny Lane or Bents Road. Follow the instructions given to you by the parking marshalls.